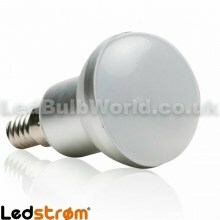 Welcome to the LEDbulbworld website. We provide access to the website (the "website") and sell our products to you subject to the terms and conditions set out on this page. Please read these conditions carefully before using the website. By using or continuing to use the website, you signify your agreement to be bound by these conditions. (i) "The Customer" shall mean the Consumer who places an order with the Company. 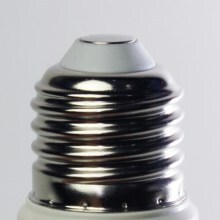 (ii) "The Company" shall mean Led Bulb World Ltd, registered in England, company no. 8915596 of Systems House, Newport Road, MK17 8AA with which the Customer shall contract under these terms and conditions. (iii) "The Goods" shall mean the products and/or services (including any instalment of the Goods or any part of them) which the Company is to supply the Customer. (b) Any order shall incorporate these terms and conditions and no variation or modification of these terms and conditions (even though included in or referred to in the document placing the order) shall be binding on the Company unless specifically accepted by an authorised representative of the Company in writing. Any orders are made on the basis (which the Customer represents and confirms to be correct and waives any claim for breech thereof) that no representation has been made by the Company as to the goods (including the availability, description, quality or fitness for any particular purpose of the Goods) and that the customer is entering into this contract is not relying upon any representation. By using the website and its features, it is the Customer’s responsibility to maintain the confidentiality of any and all account and password details and to prevent unauthorised access to your account by any means. The Customer agrees to accept full responsibility for all activities that occur under your account or password. The Customer should inform us immediately if they have any reason to believe that their password has become known to anyone else, or is likely to be used in an unauthorised manner. It is the Customer’s duty to ensure that the details on their account are correct and that if circumstances change that we the account is updated as required. The Company reserves the right to refuse access to the website, terminate accounts, remove or edit content, or cancel orders at our discretion. We collect information about you such as your name, address and contact details when you specifically enter them on sections of the site. When you make a purchase from our website, we collect certain personal and/or Company information from you (for example: your name, email address, payment address and details). All such information is held on secure servers. The Company complies fully with all applicable Data Protection legislation, and will treat all your information as fully confidential. In order to serve you most efficiently, the reputable third-party online payment processing organisation WorldPay handles our online payment transactions. They receive the information needed to verify and authorise your payment card and to process your order. All such organisations are under strict obligation to keep your personal information private. You are not authorised in any way, to download (other than page caching) modify, impair, damage, interfere or interrupt its normal operation, nor make any attempt thereof, except with the Company’s express written consent. 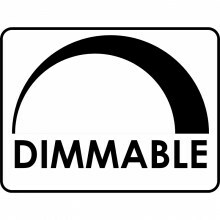 This licence does not include resale or commercial use of this website or its contents nor collection or use of any product listings whatsoever or any attempt thereof. Any use of robots, data mining, or any data gathering and extraction tools, downloading of prices, descriptions, website contents, or copying of account information for the benefit of another, or attempts at, are breaches of the licence that may make you liable for criminal prosecution. You are granted a limited, revocable, and non-exclusive right to create a hyperlink to the index page of the Company provided that the link does not portray the Company, its products or services in a false, misleading, derogatory, or otherwise offensive manner. Our acceptance of an order does not take place until dispatch of the order, at which point the purchase contract will be made. All orders are accepted subject to these terms and conditions, but may be refused for any reason. If the Company refuses an order, the Customer will be notified of this by email. Prices are subject to change without notice however all prices on the website are final at the point of order and will not be increased if you have paid for your order and the order has been despatched by us. All website prices include VAT. 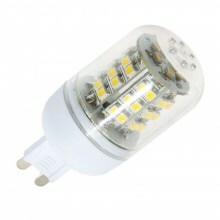 We try to list detailed information for products sold by us on the website. If there is a price discrepancy with your order we may, at our discretion, cancel your order and notify you of such cancellation. All goods availability is indicated on product information pages on the website. In the rare event that goods are not in stock but the order is submitted you will be notified by us. The total cost of your order will be the price of the products you order, any additional services you choose; for example Installation & Training, VAT subject to your order, and the delivery charge (if applicable). All these are made visible in your Shopping Cart before you submit an order. Once you have submitted your order and your order has been confirmed you will not be able to make any changes to your order so please make sure that everything is correct before clicking the confirm button. When you place an order on our website we shall email you an acknowledgement. Our acceptance of an order does not take place until dispatch of the order, at which point the purchase contract will be made. We reserve the right to refuse an order. All website prices include VAT. VAT shall be charged based on the delivery address of the goods. Delivery in the UK shall attract VAT. Delivery within the EU shall also attract VAT, except where the customer provides their real and valid VAT number. In these cases VAT shall not be charged. Deliveries to other than the UK or EU shall not attract VAT. In such cases please read the Customs and duty section. In the event that the customer provides and incorrect VAT number or one that it is not accepted by the UK customs and excise, the VAT will be recharged to the customer and a VAT invoice raised to cover this and sent to the customer. 9. Prices and Payment methods. The Company shall exercise due care to ensure correct and safe delivery of the goods ordered to the address stated on the order. Any delay due to circumstances outside the control of the Company shall not entitle the Customer to cancel any order or refuse to accept any delivery. 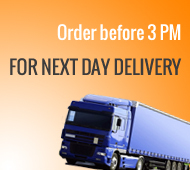 The Goods may be delivered in advance of any quoted delivery date. Should the Customer refuse delivery; the Customer shall be responsible for the return delivery charges to the Company trading address. The risk (but for the avoidance of doubt not the property therein) in respect of the Goods shall pass to the Customer as and when the same are delivered to the Customer. The Customer shall then be responsible for the insurance of the Goods. Standard deliveries to Scottish Highlands and Islands, Channel Islands, Isle of Man, Northern Ireland, Dublin, and the Republic of Ireland will take longer to arrive. We aim to deliver within 5 working days to Northern Ireland, the Republic of Ireland and Dublin and 7 working days to the Highlands and Islands, Channel Islands and Isle of Man. During busy periods, please allow up to 7 working days for delivery to Northern Ireland, the Republic of Ireland and Dublin and 10 working days for delivery to the Highlands and Islands, Channel Islands and Isle of Man. UK Bank Holidays (if applicable): please allow an extra working day for standard deliveries. When ordering goods from the Company for delivery overseas the goods may be subject to import duties and other taxes. These are levied by the appropriate authority in the country of delivery. Any additional charges for any taxes or charges whatsoever including customs clearance must be borne by the Customer. Please refer to your local customs office for further information. When ordering from the Company you are considered the importer of record and must comply with all laws and regulations of the country in which you are receiving the goods. The Customer agrees to inform the Company of any defect found after delivery within 5 calendar days from date of delivery. 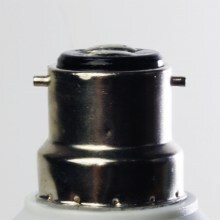 The Customer must contact the Company within 5 days of delivery for a replacement order if their order arrives damaged. The Company reserves the right to require photographic evidence to support any claims submitted by the Customer. The Company reserves the right to request damaged goods be returned to the Company where possible. In the event damaged goods are returned to the Company, all goods will be inspected. The Company accepts no liability for bodily harm or damage incurred by Customer following delivery of damaged goods. Any claims after this period will not qualify for a replacement. Should the Customer cancel their order before their Goods have been dispatched the Company agrees to refund the entire cost of their order within 14 days of notification of cancellation. Returned goods must be returned in their original packaging or a surcharge of 50% will be issued. Returns will only be accepted provided the item is not damaged, has not been opened and the packaging is in a resalable condition. All items will be tested upon their return to the Company. Outgoing and Return postage will not be refunded for non-faulty goods returned. ‘Special orders’ cannot be returned. For goods damaged prior to delivery the Customer has 5 calendar days from date of delivery to submit a claim to the Company. 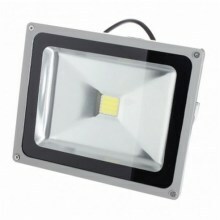 The Customer must contact the Company within 5 days of delivery for a replacement order if their order arrives damaged. The Company reserves the right to require photographic evidence to support any claims submitted by the Customer. The Company reserves the right to request damaged goods be returned to the Company where possible. In the event damaged goods are returned to the Company, all goods will be inspected. The Company accepts no liability for bodily harm or damage incurred by Customer following delivery of damaged goods. Any claims after this period will not qualify for a replacement. For faulty goods that fail within 21 days of delivery the Customer has 30 calendar days from date of delivery to submit a claim to the Company. All faulty goods must be returned within 30 calendar days of delivery to the Company and the Customer may request either a direct replacement or refund. Where the Customer requests a replacement or higher monetary value than the original purchased goods the Company shall require the Customer to settle all outstanding payments before the goods will be released for delivery. All items must be returned via Royal Mail Second Class post. Return postage will be refunded subject to carrier costs. All items will be tested upon their return to us. Returns of faulty goods will only be accepted provided they have not been damaged by any other source or misused in any way. Outgoing and return postage of non-faulty goods received will be not be refunded. For faulty goods that fail after 21 days of the delivery the goods may be covered under a warranty period. Please see section 17 for more information. Warranty periods may vary between products. 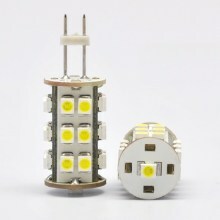 Unless otherwise stated all LED products supplied by the Company are offered under a one year non-extendable manufacturer’s warranty to customers within the UK, Republic of Ireland and Northern Ireland. 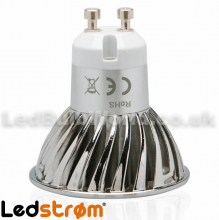 Purchases of LED Spotlights and LED Bulbs are covered under a 2 year manufacturer’s warranty as standard to customers within the UK Mainland, Republic of Ireland and Northern Ireland. i. Where the Company offers a one-year warranty it will be either for the repair or replacement of goods (choice at the discretion of The Company.) This limited warranty period excludes all End of Line and Sale stock items. ii. Where the Company offers a two-year warranty it will be will be either for the repair or replacement of goods (choice at the discretion of The Company.) This limited warranty period excludes all End of Line and Sale stock items. iii. Where the Company offers a five-year extended warranty it will be will be either for the repair or replacement of goods (choice at the discretion of The Company.) This limited warranty period excludes all End of Line and Sale stock items. This promotion excludes the Republic of Ireland and Northern Ireland. Extended warranty is not automatically provided and is only valid if a completed registration form is received within 90 days of purchase. All registration forms received after this date will be void. The Company accepts no liability for late, delayed or lost in transit forms. Failure to register your purchase will render this offer null and void and a standard 2 year manufacturer’s warranty will apply. By registering your product within 90 days after the date of original purchase, you will receive an additional 3 years extended limited warranty service, which would bring the total period of coverage to 5 years starting on the date of original purchase. No claim for repair or replacement under warranty terms caused by damage or misuse of any kind will be entertained by the Company. 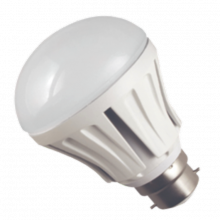 This includes but is not limited to occasions our low-voltage LED products have been used with anything other than an LED compatible driver, as recommended, and where our dimmable LED bulbs have been used with anything other than a trailing edge dimmer switch, as recommended. No claim for repair or replacement under warranty terms caused by damage arising out of unauthorized modification or alteration, repair or use will be entertained by the Company. The Company accepts no liability for any malfunction resulting from exposure to elements, including but not restricted to dirt, sand, water, dropping, fire. No claim for repair or replacement under warranty terms caused by general wear and tear will be entertained by the Company. 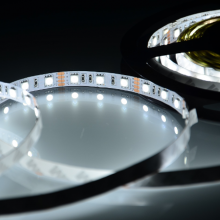 The Company does not warrant or guarantee that the adhesive backing on LED Strip Lights will stick to any or all surfaces. 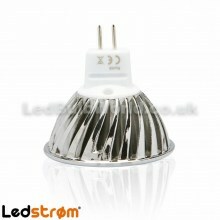 The Company will not accept LED Strip Lights for exchange or return that have had the release liner removed. The Company retains the right to require proof of installation by qualified persons to determine the validity of any claim under warranty terms. The warranty is not transferable between products, persons or property. In the event of a claim, proof of purchase will be required to validate all periods of cover and to authorise any parts required. The Company reserves the right to return goods to the Customer in the condition they were received if they are returned under warranty and a manufacturing fault is not found. In the event a direct replacement cannot be provided, the Company reserves the right to provide a reasonable replacement which may be of a greater or lesser monetary value than the original purchased product. 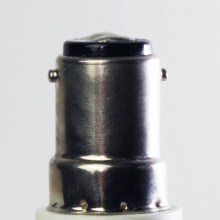 The Company reserves the right to require the faulty product be returned for testing and inspection. The Company accepts no liability for fees incurred by the Customer in returning the goods to the Company, including but not limited to postage fees. The Company accepts no liability for damage or loss otherwise incurred by the Customer in returning the goods to the Company. 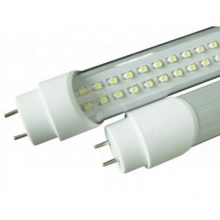 End of Line, Sale Stock and LED Strip Lights with the release liner removed are not covered under any warranty period or terms. All of the terms set forth in this Statement of Warranty shall apply with full force and effect to any extended warranty. Where goods ordered by the Customer are stored by the Company for whatever reason, the Company only stores those goods as bailee. It is Customer’s responsibility to insure the stored goods and to provide adequate insurance cover. The Company shall not be liable for loss or damage to same. 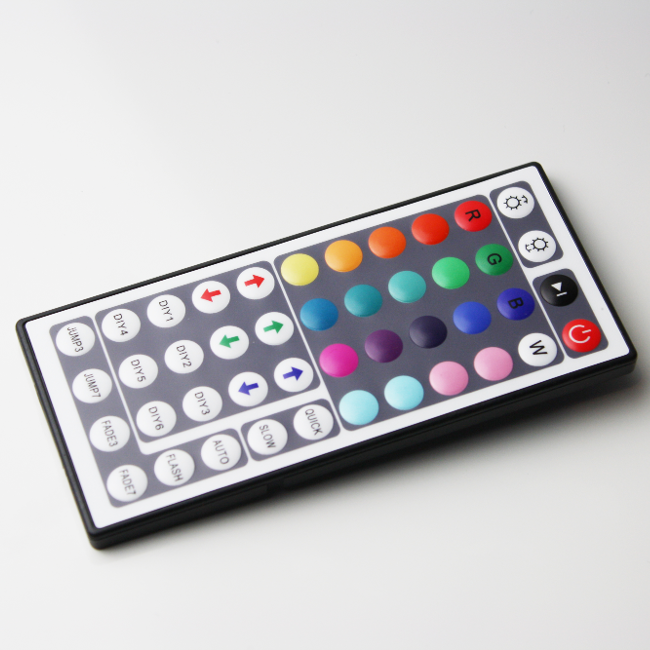 We have made every effort to display as accurately as possible the colours of our products that appear on the website. All sizes and measurements are approximate; however we do make every effort to ensure they are as accurate as possible. We will take all reasonable care to ensure that all details, descriptions and prices of products appearing on the website are correct at the time when the relevant information was entered onto the system. We reserve the right to refuse orders where product information has been mis-published, including prices and promotions. Please note that prices are subject to change without notice. Goods are subject to availability. 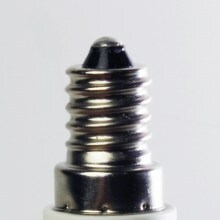 All goods availability is indicated on product information pages on the website. In the rare event that product(s) you have ordered are not in stock but the order is submitted you will be notified by us. i. Payment for the Goods shall be due 7 net days from the date of the Company's invoice. a. The property in the Goods shall, notwithstanding delivery of all or any part to the Customer, remain in the Company until the Goods have been paid for in full in accordance with the terms of this contract and until such time as the property in the Goods passes to the Customer, the Customer shall hold the Goods as the Company's fiduciary agent. b. If prior to payment for the Goods in full the Customer shall dispose of or deal with all or any part thereof (whether or not the same remain on their original for or have been processed and/or incorporated in to other goods) inconsistently with the Company's ownership thereof, then the Company shall be entitled as absolute assignees, to recover or to have the price of any benefit receivable or received by the Customer in respect of such goods (or the Goods into which such Goods have been processed and/or incorporated) and shall account to the Customer for any excess thereby obtained or realised over and above the price due to them for the Customer. c. If the Customer shall not make full payment on the due date then Company shall be entitled in addition to all other rights, to enter upon any land or premises where the Goods may be for the time being be and recover possession of them. Interest at 4% per annum above Finance Houses base rate from time to time will be charged on all accounts which are overdue for payment beyond the Company's normal terms of trading as set out above unless specific arrangements to the contrary have been made in writing. Where a solicitor has to be instructed to recover payment proper solicitor and customer charges are payable by the Customer in addition to any fees and the costs awarded by any court. The Company shall not be liable for failure to perform any of its obligations of any order due to any cause whatsoever beyond the Company's reasonable control. The Company shall be at liberty to cancel and/or suspend the contract and/or be allowed a reasonable extension of time for the performance of its obligations without incurring any liability for any loss or damage resulting therefrom. For the purpose of this Condition, "Force Majeure" shall include, but is not limited to, Act of God, Act of Terrorism, Outbreak of War (whether declared or not), Rebellion, Riot, Sabotage, Explosion, Fire, Flood, Strike (official or not) or similar labour dispute, utility failure (whatever the cause) or difficulties in obtaining raw materials, labour, fuel, parts, events or circumstances outside the reasonable control of the parties to this contract. If the Customer shall fail to take delivery of the Goods or any part thereof when required or make default in or commit a breach of its obligations under this contract or any other contract with the Company or if any distress or execution or other legal process shall be levied upon any of the Customer's property, goods or assets or if the Customer shall make or offer to make any agreement or composition with creditors or commit any act of bankruptcy or being a limited the Customer shall go into liquidation suffer the appointment of a Receiver over its undertaking, property or assets or any part thereof, the Company shall at any time thereafter be entitled to determine this contract and without prejudice to its other rights hereunder recover from the Customer any loss on sale of Goods or works comprised in this contract. Without prejudice to be foregoing the Company may in the event of default on the part of the Customer in paying any sum due under this or any other contract or order, suspend delivery of the Goods or work until such default has been made good. By accessing the website, opening and account or placing an order, the Customer agrees that the Company may store, process and use data collected the purposes of processing the order and storing for future use by the customer and company. The Customer may obtain a copy of the data held by the Company upon a written request. The Company reserves the right to charge the Customer an administration fee for processing such a request. If any personal data is incorrect, the information will be corrected upon a written request. All other trademarks not owned by the company that appear on this website are the property of their respective owners and this is acknowledged. You may not copy or use any trade marks from the website whatsoever except with permission from the owner(s). All content included on the website, such as images, text, graphics, logos, icons, audio clips, and software, is the property of the Company, protected by United Kingdom and international copyright laws. All orders accepted by the Company and any dispute or litigation arising therefrom shall be governed by English Law and the parties hereby submit to the exclusive jurisdiction in the English Courts. Failure by the Company to enforce any particular term of this contract shall not be construed as any waiver of its rights under it.